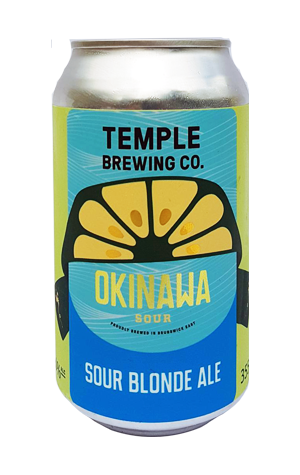 In a craft brewing scene rapidly filling with fruited kettle sours, Temple’s Okinawa Sour stands somewhat apart from the crowd. Largely, that’s thanks to the inclusion of the shikuwasa fruit, which is only grown in two regions in the world, Taiwan and the Okinawa province of Japan. Temple’s beer makes full use of the shikuwasa, which sits somewhere between a lime and a yuzu on the flavour spectrum, to create what's quite the quaffable drop. Okinawa Sour combines a citrus zest with a slight and gripping tartness to make for a drink that’s almost akin to a soft drink for adult. With all that in mind, it shouldn’t be a surprise it’s a beer Temple wanted to make sure was available in cans by the end of 2018, so that barbecue and picnic-goers could crack a Okinawa Sour in the sun.